It's day 28 of #DollyDowsieChristmas and today I'm offering the perfect prize for someone in need of a little bit of rest and relaxation this festive season - a Bannatyne pamper day for two! 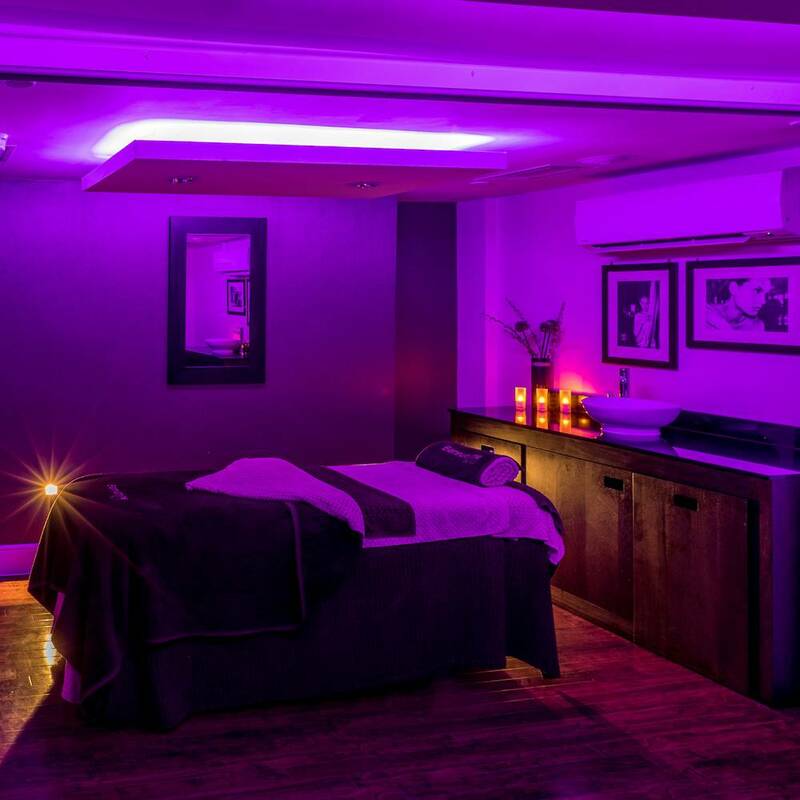 Thanks to Red Letter Days, one lucky winner can choose from over 30 Bannatyne Health Clubs across the UK to indulge in a day of rest, relaxation and reflection. You can read more about this fab prize here. You and your chosen guest can choose from two mini treatments each, including the choice of a 25-minute Swedish back, neck and shoulder massage or facial, followed by a relaxing scalp massage. The rest of your pamper day is then open for you and your guest to enjoy having a dip in the pool, releasing some happy endorphins in the gym or detoxing in the steam room or sauna. Or just maybe enjoying some much needed downtime - I know I could do with it myself! To be in with a chance of winning this amazing prize simply enter via the Gleam widget below. Please read the terms and conditions before entering and best of luck to all who enter! 1. This giveaway is open to residents of the UK only. 2. This giveaway will run for two weeks, ending on December 12th at 11.59pm - a winner will then be chosen at random via the Gleam widget. 4. By entering this giveaway you are giving permission for your details to be passed on to the person supplying your prize. I'd love to win this for me and the hubby. myself and my mum because she works really hard! I think I've been promising my mum we'd visit a spa together one day as mother and daughter since I was....well - a teenager!? I'd love to win for my daughter, she would love it. I would love to win this for my Husband who turns forty this December and we have a local Bannatynes we have never visited but would love too, a relaxing looking treat it would be. Love the idea of this. Everyone needs a bit on me time, even parents! I'd love to win this prize so that I could spoil my sister who always spoils me. I'd like to win this for my partner and I. We've had a lot of struggles this year so this would be a great time to destress. myself for a break and recharge!! I would love to win this for my boyfriend and I as we're both very stressed from work! Who would you like to win this prize for? I would absolutely love to win this for my mum! I'd love to win it for me and my best friend. We always used to go to our local house of frazer and have Clarins spa treatments but since it closed down we've been spa less! I'd love to win this for my friend Zoe. She's frazzled at the moment. I would like to win this for myself, after the year I've had (finishing it off by failing my driving test last week!) I think I deserve some r&r! I’d love to treat my mum! She’s also my carer so to has some quality time together on a spa day would be incredible. I would absolutely love to win this for me and my husband to be! We have never been on a spa day and it would be a lovely treat in the run up to our wedding day! I would love to win and take my friend Jen who is unfortunately recovering from a mastectomy. This would be a lovely treat for her! I would love to win this for my friend and I.
I would love to win this for my partner who deserves a treat! Thanks for the competition. I'd like to win it for my daughter Meg. I've had a really rough year and she has taken care of her little sister and me. I would love to win this for me and my partner. We have 5 kids and never manage to get away so this would be perfect. I would love to win for my husband and I to enjoy! My best friend. Hopefully she would take me with her!